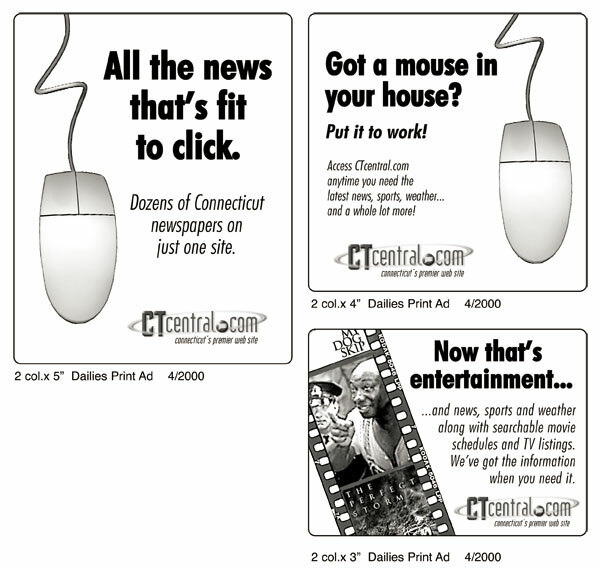 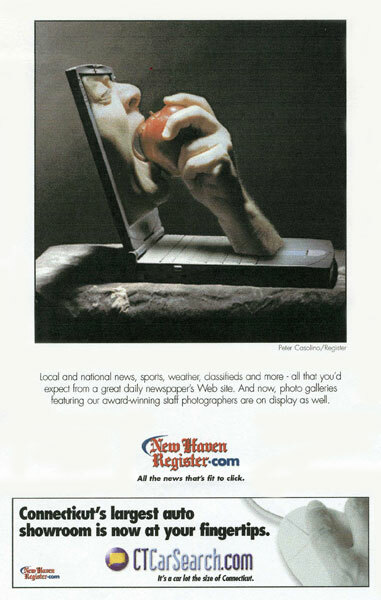 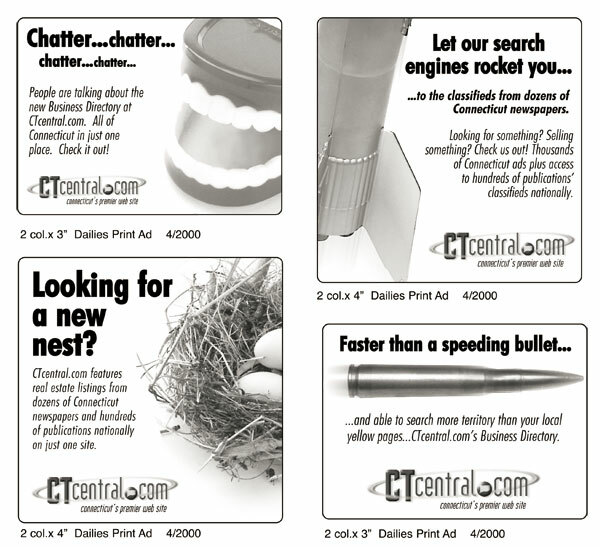 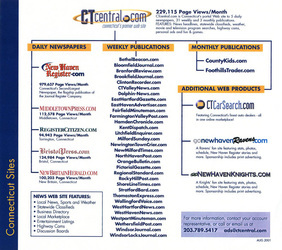 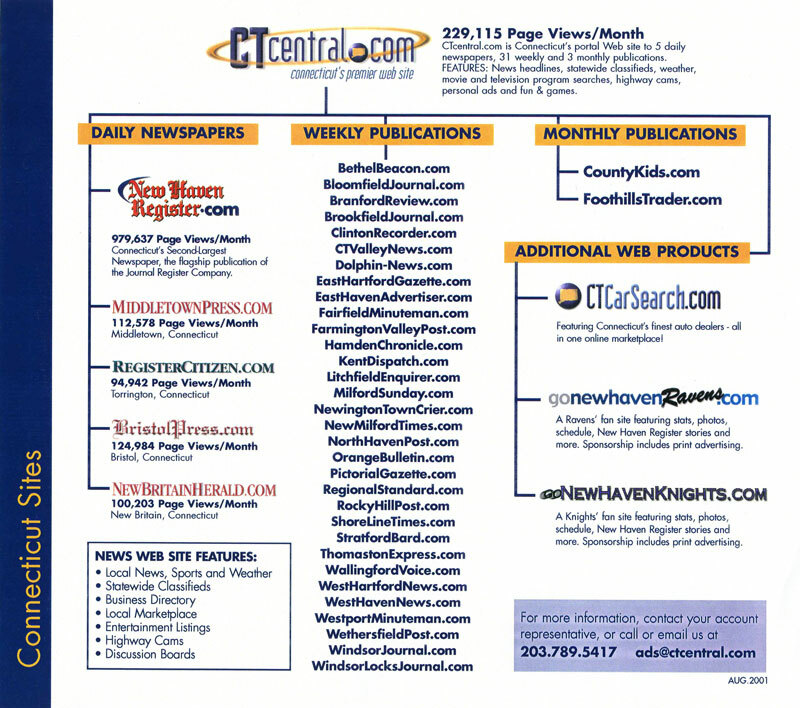 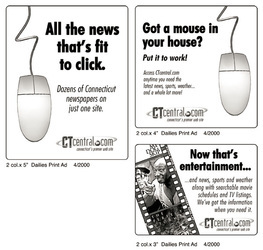 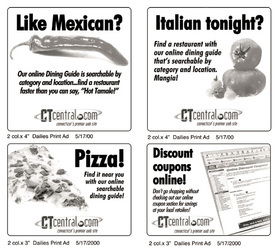 As a web graphic artist, I did logos, graphics and animated gifs for the New Haven Register and 133 other newspapers' websites. 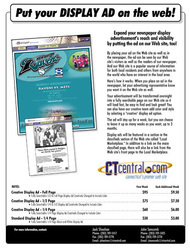 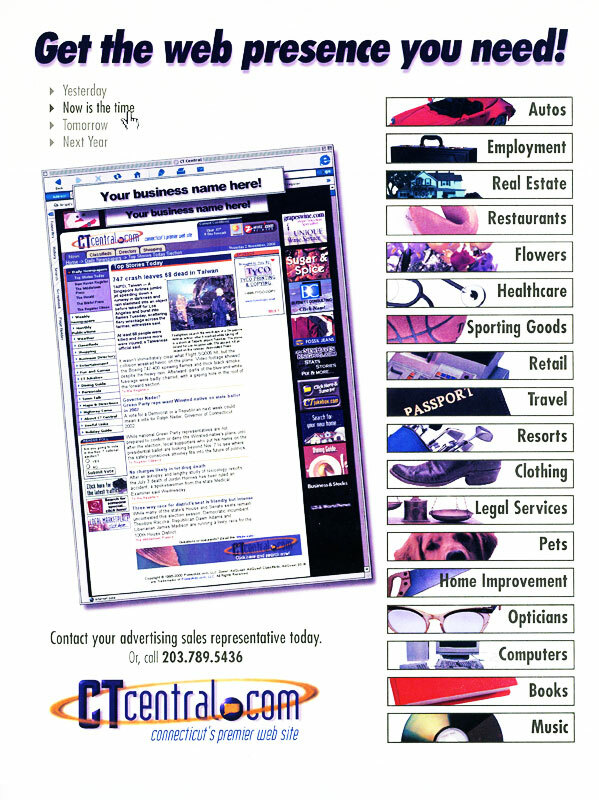 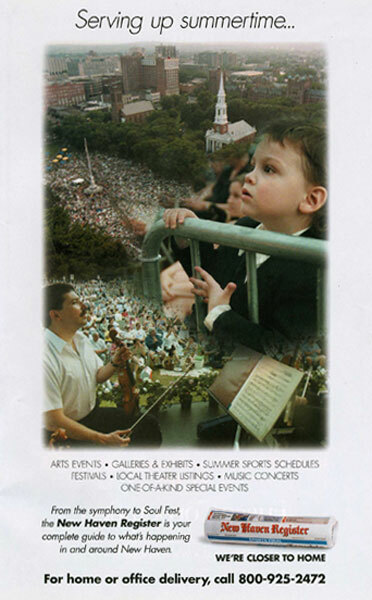 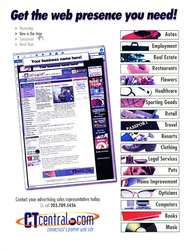 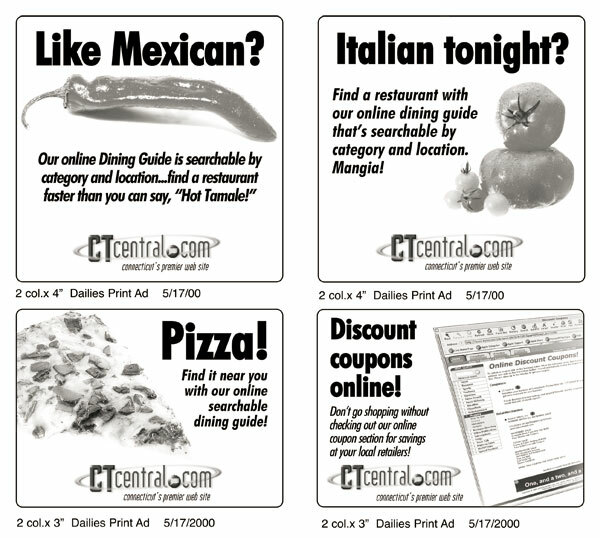 I also was the sole designer for all promotional print ads and materials for the online department. 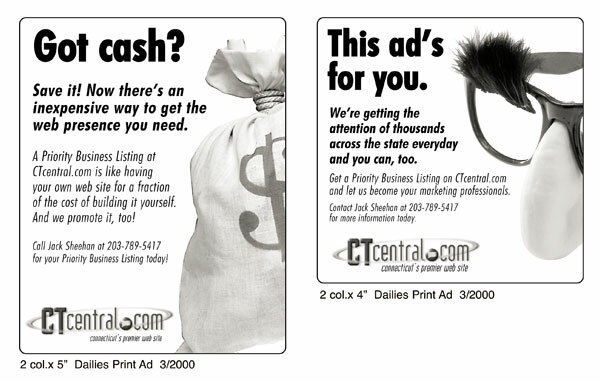 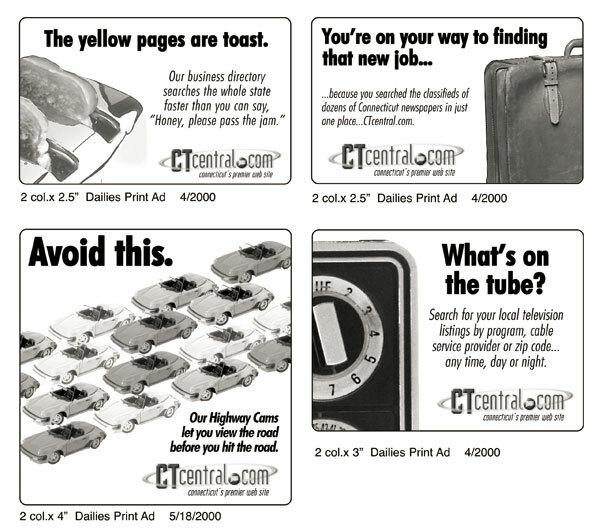 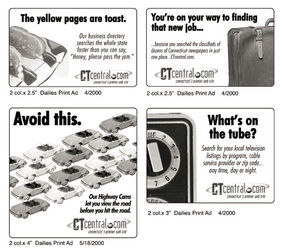 I wrote the copy for these advertisements as well. 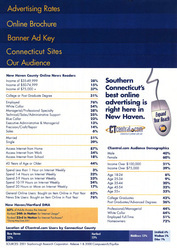 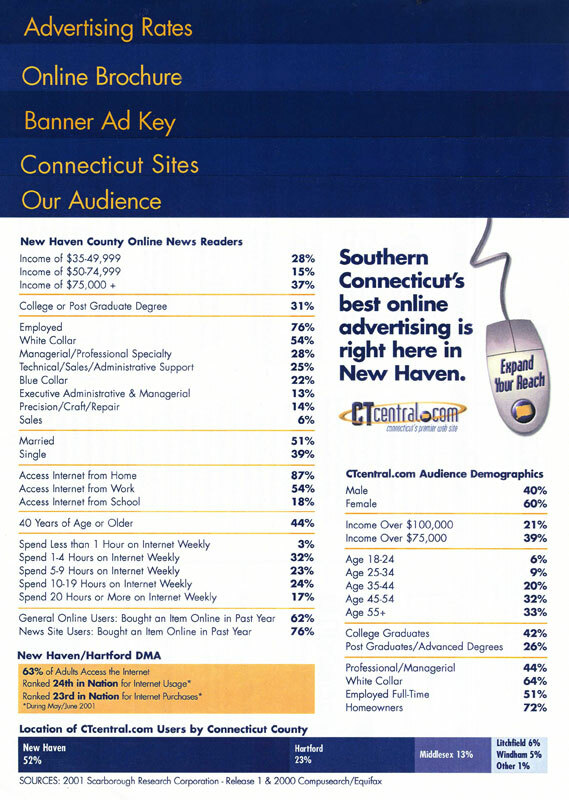 In addition, I designed and built satellite websites using Dreamweaver and Photoshop for the New Haven Ravens, New Haven Knights and UConn Huskies.